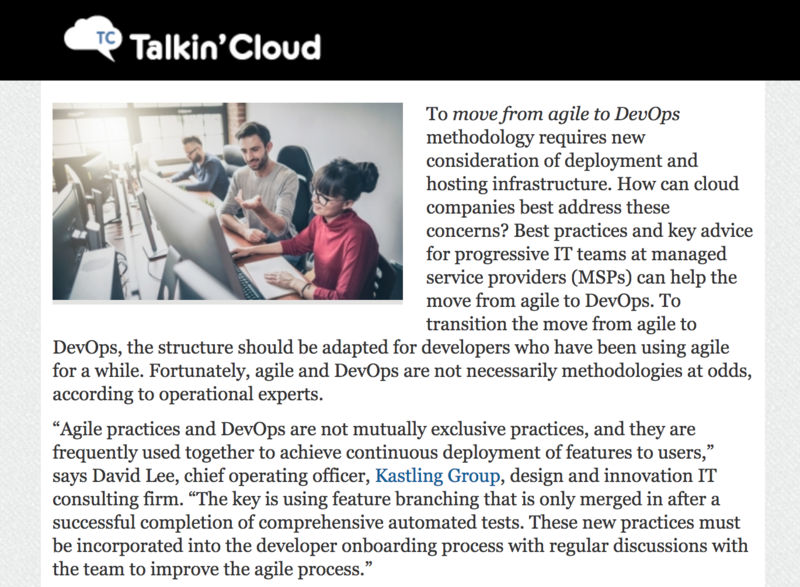 Cloud companies and MSPs can facilitate their move from agile to DevOps with infrastructure migration best practices for popular servers to meet enterprise compliance, according to Lee. The chief issues with a move from agile to DevOps in a cloud environment is with security and compliance. But by providing compliance levels achievable by cloud environments, metrics of how long the move should take and integration guidelines, more teams will transition with confidence, according to Lee.